Rustic charm with two levels. Reliable, rustic structure with charm. A quiet place in the woods. Have you been dreaming of a cozy log cabin by the creek? Would you like a larger cabin where you can accommodate married children and grandchildren on a vacation week together? 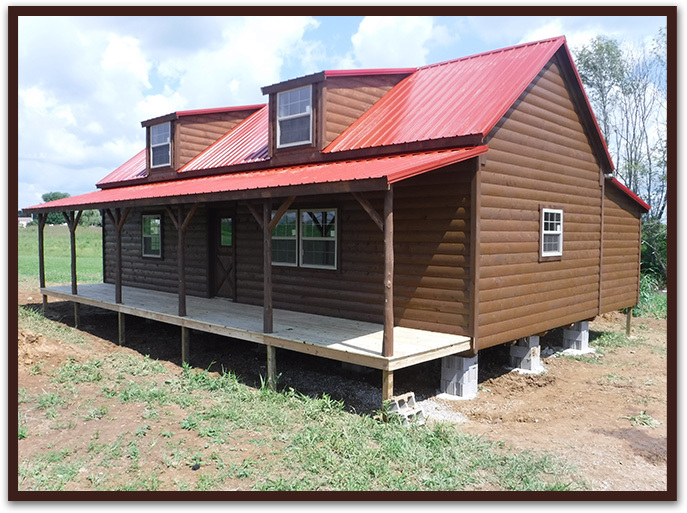 Maybe you need a hunting cabin put in so you can have a little more comfort on your weekend hunting trips. Perhaps you are looking for a low-cost log cabin home that you can afford on a tight budget. Schwartz’s Cabins offers you a variety of custom, prefab cabins. 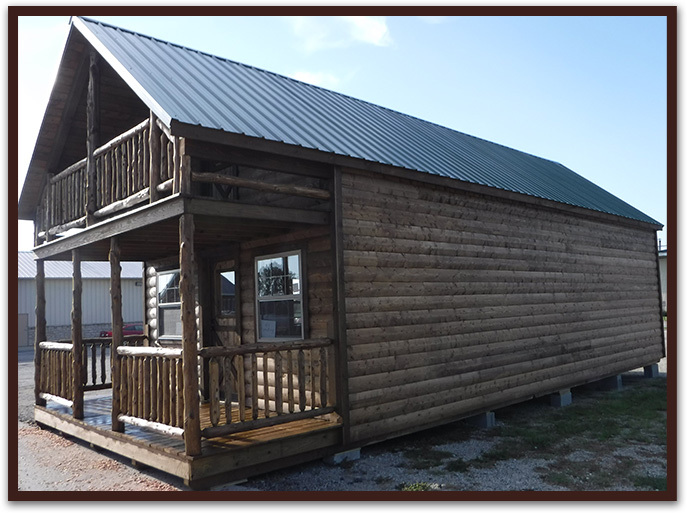 Our affordable cabins offer a more economic alternative to the many log homes available. Our prefab log cabins offer the customization options you want while still offering prices you can afford. We work hard to build you a quality structure, using experienced craftsmanship and honest work ethics. We offer two main design styles. The Frontier Cabin has a long porch across the front. This is a great place to sit in a camp chair and watch the children play or watch the sun come up over the ridge. The Timber Lodge has the porch on the end. This smaller end porch gives the cozy log cabin appeal. Our rustic cedar porch railing option allows you to complete your personal retreat. Our Double Deck Timber Lodge comes with a loft. This offers a door to the balcony above the end porch. This give you a private hideaway where you can relax with a cup of coffee and your favorite book. Visit our Photo Gallery to see our work. Schwartz's Cabins was established in 2014. We are a family-owned and operated business. Quality and service is our #1 goal. Please call us with any questions or to get prices. We have 2 lots to better serve you.